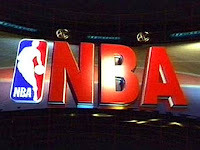 The NBA has race as an undeniable subtext in the current lockout and negotiations about profit sharing. Just look at the negotiating table: On one side sit the owners, all Caucasian males apart from Jordan, ranging from mid-40s to soon-to-be octogenarians. Across from them sit their 20- and 30-something employees, almost 84 percent of whom are African American males. The older white men are now asking the young black men to take a pay cut in order to cover their purported losses, upward of $280 million a year. Given that, it’s almost ridiculous they call “basketball-related income” the elephant in the room.